Benedict Sheehan is a creative technologist. He develops imaginative ideas into working products and has an impressive portfolio. From creating a 3D interactive map for a shopping centre in Hong Kong to working alongside the Copperdollar Immersive Performance Company at Glastonbury, turning the crowd into digital dancing skeletons. We got in contact with Benedict to find out more about what his job entails and ask for his advice on getting into this field of work. For people wondering what exactly you do, how would you best describe your job? I figure out how to design and make solutions for interesting problems within the realm of user experiential and user interaction with digital technologies.. Mixing of technology and creativity. The work I do varies between designing and making digital interactive artworks (such as with Copperdollar fig 1 & 2) through to more corporate oriented digital interactive products (such as an Inter table factiveig 3). Fig 1 & 2 An interactive Mirror for Copperdollar’s ‘Back of Beyond’. Dancers rocking to Copperdollar’s DJs enjoy interacting with their distorted digital reflections. 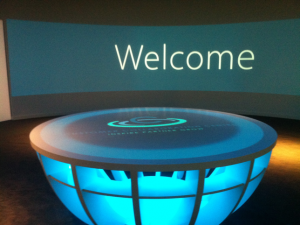 Fig 3 An interactive digital table with projection mapping and Kinect sensor. The table is used as a presentation tool, sensing the user’s’ hands over the surface, interacting with projected elements, allowing for a story to be told via digital projections. Freedom to run with ideas; the satisfaction of finding a solution; not having to commute and collaboration where possible. Too much time spent in front of computer screens. Also, keeping faith that the next client is about to knock on the door. I’ve been freelancing for over 12 years but I worry that I’m not very good at selling myself. I’m still learning how to correctly value my time, too. What advice would you give to people wanting to start a career similar to yours? Be productive, be original and enjoy what you do. Talk to people and look at what currently exists, find what you like or dislike. Find ways to stay motivated and excited about what you do. If you’re bored, it will show. How did you come to be involved in the Copperdollar team? Luckily, a mutual friend put me in touch with Kt Simpson, director of Copperdollar, just over 10 years ago! I’d been making interactive mirrors and our friend thought that we should definitely meet up. This was just on the cusp of Kt forming Copperdollar and I’ve been privileged to work as digital artist/performer/rigger/and more with the Copperdollar family for the last 10 years! Could you give us 3 top tips for creating meaningful UX? I guess understanding what meaningful UX is, would be a good start! User Experience / Interface design has to be very focused on what the user needs; It sounds obvious, but understanding the requirements is fundamentally important. In practice, this means good communications with your client to establish these requirements – you’re meant to be the expert, so help guide them to the best solutions. Be experimental! Try out stuff! Break things! Be curious! The best innovation often happens by accident! Thank you, Benedict, for your interesting insights. If you want to find out more about the work Benedict does then check out his website here. If you are looking for a studio to hire in Brighton then look no further. Copperdollar Studios house a whole host of amazing artists like Ben and would love to welcome you. Get in touch today to book a free tour. If you enjoyed this post then stay tuned for the next one in a months time. We will be promoting it on our social media accounts and our newsletter (which also comes out once a month) so give us a follow on Instagram and like our Facebook page and subscribe to our newsletter down below.